An article on what schism is and how it may be avoided. Great Noise this Church has made, and still does, about that little great Word SCHISM. But, as the Proverb runs, they give both the great Blow, and the loud Cry; they blame others for their own Fault: That Presbyterian Dissenters are not, nor can be guilty of Schism, in peaceably separating from this Revolution-Church; but that this Church, in separating from the Principles, Acts and Constitutions of the true reformed genuine Covenanted Church of Christ in Scotland (to which the foresaid Dissenters adhere and contend for) is guilty of SCHISM, may be clearly documented in few Words. I Shall not spend Time in criticising upon the Word Schism: It is commonly used, (1.) For Breach of Union in the Church: Thus these that abide in the Church may be guilty of schism, more than those that peaceably leave it, while they that remain in it make Divisions and parties, differing about Doctrines, Principles, Tenets and Opinions,. &c. This is Schism in the Body, I Cor. 12:25. (2.) It is taken for any causeless Separation from a well-constitute Church found in doctrine, pure in Worship, impartial in Discipline, free and unrestricted in her Government: Otherwise a peaceable Departure from any Church is not Schism, when there is just Cause for leaving her Communion (as is the Case with Reference to this church and Presbyterian Dissenters) for a Schism must needs be theirs, whose the Cause of it is; the Word runs full out of the Mouth of Christ ever against such as give the Offence, not against such as take it. (3.) Schism, say the Authors of the Covenanters Plea, p. 32 signifies properly a Rent or Breach, which, when it is from, or in the Community of a Church, it is very sinful, both because against the Command of God directly and interpretatively; but it must be from the Communion of a church walking according to the Divine Rule, otherwise ( if the church’s Deviation especially be great) there is no Fear of any Guilt of Schism, in departing from it. (4.) It may also signify a Cutting or Riving of Wood, where the Parts of it, before united, are rent asunder. I’m of the Mind, that none of these four Cases can justly be applied to Presbyterian Dissenters: In regard, (1.) They have neither altered nor departed professedly from the Doctrine, Worship, Discipline, Government, Terms of Communion, nor the reformed Principles of the Church of Scotland, as legally established 1649; and so are not guilty of any Breach of Union from that Church: Our Separatists must prove this, before they can justly charge Dissenters with Schism. (2.) The above Grounds of Dissent sufficiently evince, that their refusing Communion with or Secession from this Revolution-Church, is not causeless; and that her Unsoundness in Constitutions, Principles, Doctrine, Worship, Discipline, Government, and Terms of Communion, &c. are some of the Causes; and Schism being always theirs who are the Causers of it thro’ Defection and corrupt Courses, &c. it cannot be charged upon Dissenters. (3.) That this Revolution-Church is not walking according to the Divine Rule, but palpably deviating from it, our Confessions of Faith, Covenants National and Solemn League, and have made Acts contrary to the Confession, as is asserted and declared in the Protestation given in to the Assembly 1720, against the Acts condemning the Marrow of Modern Divinity (as above) seems to screen Presbyterian Dissenters from meriting the Designation of Schismaticks, or being guilty of Schism. Hence, until this Church clearly prove, that our reforming church foresaid did not walk according to the Divine Rule, in her Doctrine, Worship, Discipline, Government, Terms of Communion, Acts and Constitutions, &c. and that the Covenants National and Solemn League, sworn by the Authority of church and State, with uplifted Hands to the most High God, were not lawful, and consequently not binding on Posterity, they may forbear, for all Time coming, while Matters continue upon the present Footing with them, to charge Presbyterian Dissenters with Schism; seeing they adhere to, and desire, thro’ Grace, to own and prosecute the Principles and Attainments of that reforming Period, according to Christ’s Institution. But I come to the other Branch of the Assertion, namely, that this Revolution-Church, in separating from the reforming Church, &c. is guilty of Schism. Very little needs be said for proving this Point; for, abstract from their Fractions, Divisions, Party-Business, and Party Names, such as Squadronian and Argathelian, Simsonian and Antisimsonian, &c. and intestine Broils and unbecoming Reproaches, shot forth against some of the Nonjurants, and the twelve Brethren, for their adhering to, and contending for Truths condemned by the Plurality-Men, and some small Opposition to the Arian Flood (which yet insinuates something like Schism in the Body, I Cor. 12:25.) they have made an open, avowed, and causeless Schism, in separating from a well-constituted Church, and sound in Doctrine, Worship, Discipline and government; from a church, whose Constitution, Principles, Actings and Proceedings, were more agreeable to the Divine Law, than any since the Apostolick Times; which cannot be forsaken and left, without being involved in a direct Schism and manifest Perjury: Which is very sinful, both because against the Command of God, directly and interpretavely. And sure I am, they never had just Causes to leave that Establishment; at least, they are not produced. If any should examine the Nature of Presbytery, which was framed by that great Restorer of Presbytery in Europe, Mr. Calvin in Geneva, carried on by famous Mr. Knox and his Associates in Scotland, compared with the primitive Platform instituted by Christ and his Apostles, they will find it, by many Degrees, different from the Methods and Plans used and pursued these many Years by State-Politicians and exasperated Men, who are evidently more acted by carnal, self-interested, biased Spirits, than by the Spirit of the Lord Jesus Christ. I say, any Body may easily see, that this nominal Presbytery, that’s now on Foot, differs so very vastly from the true Nature, and true and pure Being of Presbytery, according to Christ’s Institution, carried on so sweetly and valiantly by our reforming fathers, that scarce is there any Thing isn’t relative to it, but its overreaching Excrescences (as famous Mr. Dickson speaks in his Warning to Fife) obtruding upon People insufficient Ministers, against both their Consciences and Privileges. Furthermore, not only the above Heads, complexly considered, prove, that this Church hath made an unwarrantable Separation, in Principle and Practice, from our comely, reforming, covenanting Church; but the Solemn League and Covenant, in the 1st, 2d, and 6th Articles thereof (about which this Church has never to this Day kythed any Concern, except in casting it out of the Confession of Faith, as the Pharisees did the blind Man, when the excommunicated him, because he confessed Christ) as it does plainly show, wherein the Union of the church-consisted; so also what is Schism from her, in these Words particularly in the 6th Article, namely, ” That we shall assist and defend all that enter into this League and Covenant, in the maintaining and pursuing thereof; and shall not suffer ourselves, directly nor indirectly, by whatsoever Combination, Persuasion or Terror, to be divided or withdrawn from this blessed Union and Conjunction, whether to make Defection to the contrary Part, or to give ourselves to detestable Indifferency and Neutrality in this Cause.” When this Account is compared, and considered with the Words in the fist Article, to wit, “That we shall sincerely, really and constantly, through the Grace of God, Endeavour, in our several Places and Callings, the Preservation of the reformed Religion in the Church of Scotland, in Doctrine, Worship, Discipline and Government, against our common Enemies, &c. And shall Endeavour to bring the Churches of God in the three Kingdoms, to the nearest Conjunction and Uniformity in Religion, &c. (all Schism therefrom being renounced in the 2d Article.) I say, it is plain from these Articles compared with one another, that the Union of our covenanted Church consists in this, viz. That the Members thereof firmly and steadfastly adhere to, and defend one another, in the maintaining and pursuing the Ends of the covenant, that is, in performing all the Duties to God and Man, that the Word of God, and the truly reformed Religion require, for Preservation and Propagation of the covenanted Reformation of these three Kingdoms, Scotland, England and Ireland, according to the Tenor and Obligation of our Solemn Vows, in Opposition to whatsoever Combination, Terror or Persuasion, that may come in the Way thereof. It is also evident from this, that Schism from our covenanted church consists in this, to wit, When the Members of the Church make Defection to the contrary Part, that is in plain Terms, when they associate or incorporate with, assist and defend the Parties against whom the Covenant was made and sworn, viz. Papist, Prelatist, and their Underlings, Heretics, &c. the common Enemies of Reformation; and fall from the Duties of preserving and propagating the Reformation of the three Kingdoms; and refuse to join with, assist and defend those, who adhere to the covenants, in the necessary Work of Renewing them, for Extirpation of Popery, Prelacy, Erastianism, Superstition, Heresy, Error and Prophaneness, and whatsoever is contrary to sound Doctrine and the Power of Godliness; and for re-establishing, preserving, and propagating the covenanted Reformation, once happily established in these Lands, and sworn unto by our covenants. Furthermore, Schism from our covenanted Church consists also in this, viz. When Members, Ministers or others, give themselves to a detestable Indifferency and Neutrality, in the Cause of God, namely, in the preserving and propagating the covenanted Reformation of these three Kingdoms; that is to say, When Men are like so many Gallio’s in the Cause of God, preferring worldly Ease, Honor and Wealth, their own Interest to the Interest of Christ, become easy, whether the covenanted Reformation in these Lands sink or swim; and, from a cowardly Disposition in some, and a malignant, persidious Temper in others, coalesce and accord in apostatizing from the Articles of the Covenant foresaid, the Cause of God, and its honest-hearted Friends; and frighted from both, as if they thought it both Sin and Shame to have it said, that they carried any warm Side to either the one or the other. I say, All Members of this National Church, who, on Account of any Combination, Persuasion, or Terror and Fear of worldly Loss, or Sufferings of whatsoever Kind, are guilty in any of these two Cases, are also guilty of making SCHISM from the covenanted Church, as is clearly manifest by that 6th Article of our Solemn League. Now, seeing this Church is notoriously and grossly guilty of making Defection to the contrary Part, by altering, or rather departing from the legal Establishment 1649, changing the Terms of Communion, and by going into the legal Establishment of the incorporating Union with England, whereby English Erastian Supremacy, and English Popish Ceremonies are established; and the Jurants, by the Abjuration-Oath, have solemnly ratified that Union, as proven above: Then it plainly follows, by just Consequence, that this Revolution-Church is not only guilty of Schism (and the Jurants most heinously guilty by their Oath) on account of the foresaid Defection and sinful Deserting of the foresaid Establishment, &c. But Also in respect of Neutrality and Indifferency in the Cause of God, in never making any suitable Endeavors to have that glorious Work revived and restored, or her own lost Ground retrieved; and so she is allowed to apply the Heinousness of Schism, the bitter Effects, and lamentable Concomitants thereof, to herself, which she endeavors to father upon, and apply unto Presbyterian Dissenters. Any who have not rejected our Covenants, and design not willfully to trample on that Reformation, may be fully satisfied as to this Sense of the Solemn League and Covenant, from the printed Acts of the venerable Assemblies, Anno 1645, Sess. 14. p. 283. 1647, Sess. 15. p. 334 and 1648, Sess. 21. p. 391, 392, in their Explications of that 6th Article of the Solemn League and Covenant. Object. 1. England and Ireland have formally broken the Solemn League and Covenant, by the Re-establishment of Prelacy, &c. Therefore it is not binding on Scotland: when two Parties are carrying a Barrow, if the one throw down the one End of it, the other is not bound to bear up the other; and so in the present Case. Answ. 1. The Solemn League and Covenant was not made betwixt Scotland, England and Ireland only, but betwixt the Lord and these three Nations: Hence, the Violation of that covenant by England and Ireland, can never, while the World stands, free themselves or Scotland from the religious Observance of such a moral Duty; yea, in regard this moral Duty, antecedently binding to any Solemnity, had the God of Truth (who is a Covenant-keeping God, and the Punisher of Covenant-breakers) for the one Party, and these three Lands for the other, Heaven will not, Earth and Hell cannot loose one Soul therein from the binding Force thereof. 2dly, Albeit I make no Comparisons betwixt this Covenant and the fourth Commandment, yet by the same Parity of Reason, as often as England and Ireland break it, Scotland may do the same, if Imitation may be lawfully sustained and followed, in the Violation of sacred Ties: Yea, by Virtue of the same Reason, it will follow, that Scotland may openly declare themselves in Favors of Prelacy, embrace the Book of common Prayer with all the rest of the Rites and Ceremonies in the English Liturgy, depending on that hierarchy; throw off Presbytery, Name and Thing, and deny they stand in any Relation to our Confessions of Faith, &c. because England and Ireland have so done; which received Standards were expressly promised in the first article of the Solemn League and Covenant, and really made in Prosecution of the Ends of that covenant, and Parts of the covenanted Uniformity in Religion betwixt the Churches of Christ in these three Kingdoms. But this Objection is clearly answered by the Venerable Assembly of the Church of Scotland 1649, Sess. Ult. in their brotherly Exhortation to their Brethren in England, p. 474, &c. where they declare, That the Solemn League is still standing and binding upon the three Nations; That one Nation’s breaking it, does in no Manner of Way free the other, nor any Person therein; and say, That it is only that MAN OF SIN, who assumes that Power of dispensing with Oaths; that all such as claim that Power unto themselves, as they join with him in his Sin, so must they expect to partake of his Plagues, &c. which BARROW will be more heavy to bear, than the Duties of the said Covenant. How dreadful a Thing it is to break and abjure Covenants, materially and formally binding, and what direful Judgments Perjury hath brought on in all Ages, is clearly shown from sacred and profane History, in the Apologetical Relation, from p. 327 to 359, printed 1665. Object. 2. Some Presbyterian Dissenters were born in, joined with, and yet have left the Communion of this Church, which is established by Law (whereas that Church, Dissenters contend for, is not established, her Laws of Establishment being rescinded, &c.) these being joined with others, are all Schismatics. Answ. As not a few Presbyterian Dissenters, in a firm adherence to Reformation-Principles, were never in the Communion of this established Church, but still studied, through divine Aid, to maintain a Testimony against this Church, in other sinful and separating Courses from our Reforming Church, and therefore cannot be repute Schismatics; so there are a considerable Number of Dissenters, who either were brought up in close Communion with this Church, or through Mistakes and Ignorance of her Miscarriages and growing Corruptions, being seduced and whidled into a Compliance, have left the Communion of this Church, upon the very same solid Grounds, for which others refused it, from the Commencement of her Constitution; as soon as they clearly understood what Progress this Church had made, and are still making in a Course of sinful Separation from the Reformation-Establishment; and so have made no unlawful Secession in returning to a Remnant of their reformed Mother-Church, and her good old covenanting Principles, where they are better satisfied, as the Apostle Paul, Gal. 1: 13. to 16. by his own Example hath taught them. 2. Whereas it’s said, this Revolution-Church is established by Law, and that Church which Dissenters contend for, is not &c. Tis replied, And yet they do not cry out that their Church is in Danger, for they know is is founded upon the Rock of Ages, Matth. 16:18. Upon this Rock will I build my Church, and the Gates of Hell shall not prevail against it; which seemed to be a Foundation, not a little preferable to the Laws of Men, and the Inclinations of the People: But beside, their Church being established by the Laws of Heaven, her Doctrine, Principles, and Privileges are abundantly well fenced and established with Human Laws, which could not be nullified by that wicked Act Rescissory, the Fruit and Product of Tyranny and arbitrary Government, in regard they were founded upon the Divine Law, and framed for the Defense of the Truth thereof; and so never have been, nor can be lawfully repelled, but stand in Force. Object. 3. Do you the Dissenters think you are in the Right, and all the great and learned Ministers in this present Church in the Wrong? Sure we have both the greatest Men, and the greatest Number on our Side; you have only a few, and these of the weakest Sort, and your People are ignorant, &c.
Answ. 1. Though I would hope few should lay any Weight on this Objection; and it were enough to desire such who do lay Weight thereon to consider, John 7:47,48,49. with Mr Hutcheson’s Notes on that Chap. Yet I shall only say, That an impartial Observer will find that for most Part, in all Periods, God hath made Use of Nothings, not only to break the Ice to others, but to bear Testimony for Him: He hides from the Wise and Prudent, and reveals unto Babes: He makes the foolish Things of this World to confound the Wise, &c. Holy is our Sovereign, who doth what he will. 2. I own this Church hath the greatest Men, and the greatest Number on her Side; and so had the Jews in the Apostles Time; and so had the Papists at the Reformation, Revel. 13:3. The whole World wondered after the Beast and so have the Prelatists at this Day in Britain and Ireland. I wonder not to hear the old Cry, Have any of the Rulers, or of the Pharisees believed on him? What if they do not? Will it follow, that Dissenters must not believe? Will it follow, that Dissenters must not believe? Little did the Chief Priests, Scribes and Pharisees, with the body of the Jewish Nation, think, that a few Men, Dissenters from the National Worship, were in the Right, and all they in the Wrong: They were so far from that Thought, that they counted them Ignorant, Deluded and Cursed; This People that know not the Law are cursed. If Christ’s Disciples were to go in the Way that the most or the greatest go, they might have no Cross to take up, which his Followers are sure to meet with. 3. When the Spirit of God would shew us how few they are that bear Witness to the Truths of Christ, he calls them two Witnesses, Rev. 11:3. to teach us not to choose our Religion by Multitudes, or reject Doctrines and precious Truths, because few believe and practice them; for that may be the right Way which few find, Matth. 7:14. and fewer care to walk in, when they know it. 4. I think they have little Reason to boast of their Multitudes, but rather to blush for their vain Conversation, and promiscuous Admission to Sealing Ordinances; for Multitudes of graceless Professors do but disgrace any Profession, and keep furious Christians out of their Communion. Object. 4. But Dissenters are a poor, insignificant, contemptible Party. Object. 5. Presbyterian Dissenters do not all agree among themselves, they are of so many Opinions, that there is no End of them. Answ. 1. I could heartily wish, it might be truly said of all that believe among Dissenters, as was said of the Primitive Christians, That the Multitude of them were all of one Heart and Soul. Acts 4:32. However, if a little after that Paul and Barnabas fall out, I shall not condemn their Doctrines, or be afraid of their Way, for it was the Way of God, tho’ they stumbled in it. 2. Whatever lesser Differences. as to some Circumstantials, there may be among such, as are truly reputed Dissenters, through different Views and Measures of Light; yet all Presbyterian Dissenters justly so called agree, and are One in the Main; One in owning and adhering unto the Purity of Doctrine, Worship Discipline and Government, as attained 1649. 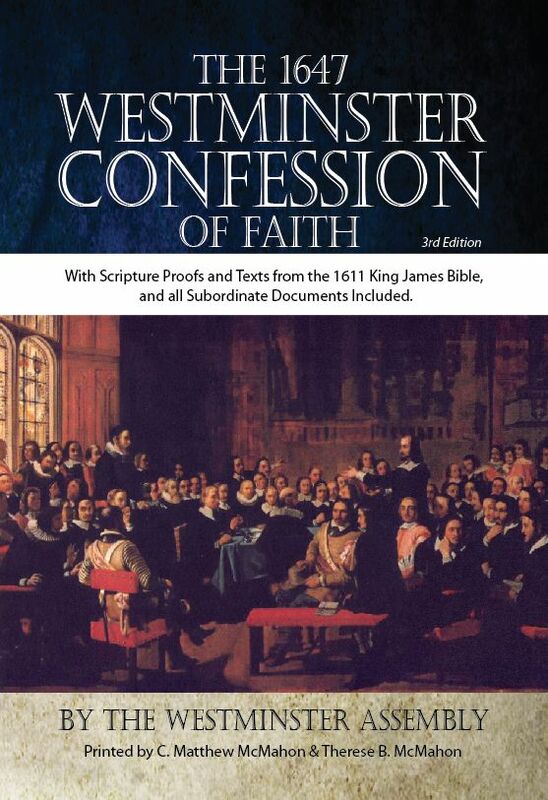 One in adhering to our Confessions of Faith, Covenants, National and Solemn League, Catechisms larger and shorter, and our other known, received and approved Standards, Acts of Assemblies and Parliaments ratifying the same; One in maintaining and propagating a Testimony against all Doctrines, Tenets, and Opinions contrary thereunto, or inconsistent therewith, held whether by Papists, Prelatists, Erastians, Quakers, Arminians, Independents, Legalists, Arians, or others; and so One in bearing Witness to the foresaid honorable Cause, against both this Revolution-Church and State, upon the Account of the foresaid and other shameful Oppositions thereunto, and Incroachments thereupon. Furthermore, whatever Differences are, or shall be among Dissenters, will be found to land upon this Revolution-Church, in regard Dissenters want lawful Judicatories to apply to, for accommodating Matters, through her Unfaithfulness: And truly they have little Reason to boast of their Unity, even tho’ they have Judicatories and Lawiers to help them, considering the fiery Disputes, Contentions and Divisions in their Assemblies, and lesser Judicatories, and Differences in Doctrines: Tho’ I’m heartily sorry, that they agree so well in an ill Cause. Object. 6. This present Church abounds in Charity, Presbyterian Dissenters are very uncharitable, &c.
Answ. 1. Let every one speak as they find Cause; I know this Church hath kythed her Charity to some many Ways. The Episcopal Clergy and others, chargeable with very gross Scandals (whose Charity was hot in the bloody Period) were received into her Communion, as above: They indeed may boast of this Charity-Cloke; and several other Persons of Distinction, guilty of Immoralities, have had their Offences passed, or rather overlooked, without any Shadow of Sorrow for these Sins, perhaps on Account of their Charity and Liberality another Way: But her Charity towards Dissenters and others, who scruple to ride the Carreer of Compliance, runs in a quite different Chanel; for, whenever she sees any favor that old Way, she forthwith thunders out Acts, Sentences and Excommunications against such (cold Charity indeed) as Saul did against the Church, without due Reflexion upon the equity of their Cause, as above instructed. Her Charity does not seem so very extensive, when she will not part with her Corruptions, Defections, and promiscuous Admissions to sealing Ordinances, which yet she looks upon to be but indifferent Things (altho’ it were even instrumentally to save Dissenters Souls from Damnation) which I’m sure may be lawfully done to the great Honor of the Church, and to the singular Advantage of Truth. 2. The Apostle Paul exhorts most to Charity of any I read in the Word; yet, which is very noticeable, his Charity is mostly to the Weak, and young Beginners in Religion: But such Persons, who out of Love to a present World, make Defection, oppose, resist, and study to turn others from the Truth, he prays the Lord may reward according to their Works; as in the Case of Dentas and Alexander the Coppersmith, 2 Tim 4:10,14. Acts 13:8,9,10. This is Paul’s Charity to Backsliders, and Enemies to the Truth, which may serve to reprehend the Charity of some, and regulate the Charity of others. But in the mean Time, I cannot believe, that a Man is sorry for his Sin of Drunenness, &c. when he continues to practise it; or that a Man is sorry for Sins on the Lord’s Day, tho’ admitted to the Table of the Lord, &c. that returns to them all the Week. I think there is little Warrant for such large Charity. Object. 7. Presbyterian Dissenters should carry on a Testimony with others, in a Way of Church-Communion; pretest against the Corruptions of, and yet join with the Church: Seeing there are a better Part in the Church, and Christ present with them; it ill becomes any to go out of the House, so long as Christ continues in it, &c.
Answ. 1. ‘Tis granted, that in many Cases, a Testimony, in a Way of Church-Communion, is a proper, laudable and indispensible Duty. Such as, (1.) When a church is in an Infant-state, and wrestling out of Corruption, up towards Reformation; in that Case, ’tis a Duty incumbent on every one, in their respective Capacities, to put Hand to Work, and strive to strip their Mother of her Grave-clothes, and jointly concur, in adorning her as a Bride for the Bride-groom, even altho’ they should meet with great Opposition, and have but small Success for some Time; as in the Case of our reforming Church, when throwing off the Antichristian, Popish, and Prelatick Vestments and Abominations. Or, (2.) When a Church being rightly constitute, and truly married unto the Lord, after Declensions and manifold Backslidings, is striving vigorously, in the Strength of her glorious Head Christ, to retrieve her lost Ground, repent, and do her first Works, and hold fast, that no Man, no Prelate, no King, no Parliament take her Crown, or rob her of these precious Jewels, which her Husband has vouchsafed her as a Depositum or TRUST, which she is bound to keep as inviolable, as a Virgin her Chastity: I say, in this Case, surely it is a Duty of the utmost Concern, for all Hands to be at Work, in order to build up the Desolations of Zion, raise up the Walls of Jerusalem, and Gates therof burnt with Fire, even altho’ Tobiahs, Sanballats, and some like Elymas or Diotrephes, and others of that Kidney, should fight against them. Or, (3.) When a reforming Church, enjoying her Privileges and Judcatories in Christ’s pure Ways, being found in Doctrine, Worship, Discipline and Government, honorably asserting and maintaining the Royalties of Christ, has in her Communion such, as are dead Weights upon her working Hand, and is careful to have them reclaimed and reformed, or that Leaven purged out; in such a Case, a Testimony against such Evils and Corruptions, even altho’ real Scandals is to be maintained in a Way of Church-Communion, especially when the greatest Part is not leavened, the Church being still in the Exercise of the Duties foresaid; and People are to address themselves unto Church-Judicatories, and not withdraw from their Ministers (especially for ordinary Scandals) without making prior Application to these; yea, Protesting and Joining is a most commendable Duty in this Case. But I humbly conceive, none of these agree to the Case in Hand, in regard, (1.) This Church is not in an infant, but an adult State. Nor, (2.) In a growing, but evidently in a declining Case. Nor, (3.) In a reforming, but sadly deforming Course. Nor, (4.) Rightly constitute, sound in her Principles and Ordinances; nor does she enjoy her Privileges and Judicatories, in the Ways of Christ, nor claim them. Neither does she assert and maintain his Royal Prerogatives; will not receive and redress Grievances, nor own them to be such; yea, nor hear of any Thing amiss (I speak not of some particular Members, but of the Bulk) reproaches and persecutes People, for giving any just Evidence of Dislike at their Course, however evil, in an orderly Way, as is shown above, to which I refer. Hence it would plainly and effectually destroy a just and necessary Testimony, and would be a Contradiction in terminis, to protest against the Constitution, Course, Principles and Practices of this Church, in a Way of Church-Communion, while yet neither the Things justly complained of (which affect the very Constitution of the Church, and the Office of the Ministry) are amended or removed, nor that Testimony regarded; nor would such Protestations be received and recorded: For my Part I don’t see, for what Use such Protestations and Testimonies could be, when they no Way answer the End. Say some, People may thereby have their Consciences exonered, &c. Well, be it so, I ask, What better was Pilate’s Conscience, that he gave in a Protestation against the Crucifixion of our Lord (which is indeed recorded by the Holy Ghost, nor to the Honour of the Protester) seeing he concurred in the Action, and thereby consented to the Deed done? And so in the present Case, What better would Peoples Consciences be, to give in a Protestation against this Church, for crucifying the precious Truths of Christ, and yet Pilate-like join with her? Or, what better would they be to protest against Arianism, Socinianism, Arminianism, Erastianism and Legalism, &c. and yet join with a Church sadly leavened with such Errors (a few excepted) and which harbors and tolerates the Promoters thereof, and will not put away the accursed Thing from among them? The plain Sense of this Kind of Protesting and Joining, seems to be in short this, as if one should say to another, I see by the Word, you are pursuing a Course really evil, and truly dishonorable to Christ, inconsistent with his holy Word and Ordinances of his House, and offensive to his People; and therefore, I protest against that Practice and Way of yours, for the Exoneration of my Conscience, &c. nevertheless, I will still attend and countenance you in that sinful Course, altho’ ye should not receive and record my Protestation. Is this a sufficient Salvo to a Man’s Conscience; or, will it free him when he comes before the Bar of God? Yet this seems to be the native Import of such Protesting and Joining, which renders it (with reference to this Church, so deeply immersed and involved in a Sink of sinful Courses, and unwilling to return out of it) unwarrantable, impossible, and impracticable. 2. If the Objection means, by a better Part of the Church, Ministers in her Communion, more religious, sober, tender, circumspect, and diligent in their ministerial Function and Deportment; and even more faithful and zealous in the Cause of Christ; as also, more sound in their Doctrine, &c. than the Bulk of this Revolution-Church is. Let that be granted, I from the Bottom of my Heart wish they were a thousand Times more so: Let it also be granted, that that better Part does enjoy more of Christ in Ordinances, than the worse and more lax Part do; which is so, should be a most drawing and inducing Motive, to further Faithfulness, Zeal, and holy Boldness in the Cause of God; and I humbly conceive, it is by such Fruits People shall know them (which seem exceeding rare) and it does not want its own Weight, towards confirming Dissenters in the Justness of their Cause: Yet it will not follow, that the Word of Christ does bind People to keep Church- Communion, even with that better Part of the Church; specially considering, how that better Part is blackened, ensnared, involved, and warped into the same Web of Defection from the covenanted Reformation, as to their legal Establishment, Acts, Proceedings, and Course of general Compliance with the rest of their Brethren, altho’ more unstained in the Matter of Oaths, &c. as their close Conjunction in lower and higher Judcatories, and even in the Administration of Sacraments, doth witness. Hence, when Ministers are really scandalous, thro’ such sinful Compliances (tho’ not judicially declared so) and duly censurable, according to the Word of God, and the Acts of free and faithful Assemblies, and Censures cannot be inflicted, thro’ the Want of Church-Judicatories, and yet they still persist in their offensive Courses, as is the Case in Hand, with reference to this Church complexly considered; People may do what is competent to them, and are bound to testify their Sense of the Censure to be inflicted, by withdrawing from such Ministers, even without the Presbyterial Sentence. See Inform. Vindicat. Head 4th. Furthermore, wherever the Lord has a People, there he will be with them, either more or less, discernibly, according to his infinite Wisdom, in his Dispensation of holy and adorable Providence. Hence the Lord says, Revel. 18:4. just when Rome is about to be destroyed, even when she is on the very Brink of Destruction, Come out of her, my People; which implies, the Lord may, and will have a People in that Church at that Time; yet it will not hold, because of this, and the Lord’s being with his own there, that it is lawful to join in Communion with that Church; and so in the present Case: Altho’ I am exceeding far from thinking her like, much farther from comparing this Church, or any Part of her, to that Whore that fitteth on many Waters, whom the Lord will destroy with the Brightness of his Coming; but will refine and purge this when he cometh. Yet it will hold good so far, that not the Lord’s providential, but his revealed preceptive Will, is the Rule to walk by; and so, whatever of his gracious Presence he may vouchsafe this better Part of the Church, or any in Communion with her, in a sovereign Way, as an Evidence, that he is loath to take his Farewell of poor Covenant-breaking Scotland, but would have all constraining him to abide, by seeking him early, acknowledging Offences, and the particular Sins and Miscarriages, that have made him so remarkably go to his Place, and return unto him their first Husband, and to their first Works, &c. Speedily, is not, nor cannot be interpreted an Approbation of their Course, so long as the Statutes of Omri are kept, and her Adulteries not put away from between her Breasts, &c. And yet I judge, some are to learn, where to find a Promise to bottom their Conscience on, and to expect Communion with Christ, in the Use of the Ordinances, as dispensed by one or other Part of this Revolution-Church, in the Way of the Promise, all Things considered. 3. Whatever Light of Divine Countenance, Courage and Strength that better Part of the Church may have, in the Course they are in, cannot amount to a better Ground for proving it good; and so warrantable Duty to keep up Communion with them, than the same, or like Accounts of the Lord’s being graciously pleased to shine upon Dissenters, in the Use of the Means of his own Appointment, tho’ in a Way of Secession from this Church, can, for proving it bad, and so unlawful, to keep up Communion with this Church, or that better Part either; and an Argument equally good for proving either Side of the Question, is good for neither: But our Faith and Practice, I judge, must not be determined by such Things as these; none will make any Hand that Way, but by the Word of God, the only Rule of Faith and Manners, the true Touchstone of Faith and Duty, which makes that Assent Faith, whereof it is the Ground, and that Practice Duty which it directs to. Isa. 43:27. – Thy Teachers have transgressed against me. Gal. 2:18. If I build again the Things which I destroyed, &c. And, Chap.5:1. Stand fast therefore in the Liberty wherewith Christ has made free, &c. 2 John v. 10,11, If any bring not this Doctrine, receive him not neither bid him God-speed, &c. Jer. 15:19. – Let them return unto thee, but return not thou unto them. Mr. Burroughs, on Hos. Chap. 4. v. 15. says, “The nearer any come to you in what is the right Worship of God, yet if they retain any Corruption, there is so much the more Danger that they should draw you from that which is right. — And, so there is more Danger that we, at this Day, should be drawn aside by those that join with us in many Things that are right, than by Papist, &c. they are hateful to us, &c.
Object. 8. There were Corruptions in the Church of Scotland, betwixt 1638 and 1649, as there are in this Revolution Church. Ans. 1. There will be some Things, needful to be purged out, in all Churches while in a militant State, in regard of Imperfection and Sin: And I’m of the Mind, all Churches, and particular Persons, ought to ly open to receive further Light, in order to make further Advances in Reformation and Sanctification while here, that they may grow up to that Measure of the Stature of the Fullness of Christ, Eph. 4:12,13. 2. There were Corruptions in our reforming Church during the foresaid Time, occasioned by the Speat of Papists and Prelatists; yet that Church lived so near the Lord in these pleasant covenanting Days, that her Officers and Members were not ashamed publicly to acknowledge and confess their Wrongs, Corruptions, Mistakes and Escapes, as Paul did; and did never sing a Requiem unto themselves, until they got all these Corruptions purged out, and suitable Bars preventative of the Reintroduction of these and like Evils, drawn forth: As appears from the public Records of that time; but what of this Conduct has been the Exercise of this Revolution-Church, the preceding Accounts do witness. Object. 9. Are Dissenters the only Representatives of the Church of Scotland? Do they not set up a Church within a Church? Ans. They may be looked upon as a Remnant of the true Presbyterian Church of Christ in Scotland, which hath been laboring (tho’ in much Weakness and manifold Failings) to cleave close to the Parts and Degrees of the attained Reformation, and cordially concurring, in their Places and Stations, with such of the Ministers and Professors as have gone before them, and with them, more resolutely and faithfully witnessing both against Defection, Apostasy and Tyranny in Church and State: See Inform. Vind. Head 6. Yet a more close Answer may be given to the first Part of that Objection, from some Sentences in a Letter of Mr. James Renwick to Mr. Robert Langlands, printed at Edinburgh 1724, viz. What absurdity is there in saying, That these Elders, who keep closest by the lawful Constitutions of a Church, are the Representatives thereof, and People of a covenanted Nation, who keep closest by their Covenants (even tho’ they were never so few) are the Representatives thereof, as it is covenanted; tho’ not in an authoritative and nomothetical, yet in a material and participial Sense, as it hath Relation to the Word from whence it is derived; that is, Representatives, not as it is strictly taken for these who are clothed with formal Authority, but as it is largely taken for these who do represent, or are in the Place of others, doing that which all whom they represent are obliged unto, from the Nature of the Thing? (2.) It follows, that Dissenters are not erecting a Church within a Church, but only keeping up a Remembrance of their Mother-Church, in a close Adherence to her reformed Principles, and are endeavouring, in their respective Capacities and Places, to repair the Altars which the Lord once set up, and long continued in our Land; and yet upon due Search, in some Sense, it may be alleged; yea, I see no Hazard to affirm, there has been a Church set up within a Church, and Altar against Altar, within this Kingdom, viz. these that made a sinful Rent or Schism in the reformed Church, by going into the public Resolutions, laid the Foundation of that Erection; the Curates, Indulged and tolerated, carried on the Building; and who have been supporting that Fabrick hitherto, in Opposition to the foresaid reforming Church, may easily be guessed from the preceding Accounts: And, as I doubt if this Revolution Church will be able to prove her Separation from our Reformation to be just; so Mr. Durham, in his Treatise on Scandal, p. 294. printed Edinburgh 1680, says, What cannot warrant a Breach where there is Union, that cannot warrantably be the Ground to keep up a Division? Now there are many Miscarriages and Defects which are really gross, and yet will not warrant a Schism; the Reason of the Consequence is, because making up of a Breach is not less a Duty, than preventing thereof: And further, if it began upon such a Ground, then the Continuing thereof upon the same Ground, is but (N.B.) the continuing in the same Sin; and it cannot be thought that any Party, by dividing upon an unjust Ground, can afterward be justified upon the same Ground; it remaineth therefore, that if the Ground was not sufficient at first to warrant a Separation or Division, it cannot be sufficient afterward to continue the same. Mr. Foster, in his Rectius instruendum, Confut. 3. Dialogue p. 25. says, In Schismatick Separation, the Rent is made in the true and genuine Church: So that, when a Schism and Rent is stated betwixt a godly Ministry, the sound Professors stand pre-obliged to adhere to, and strengthen the sounder Part, upon this very Ground of holding the Union and Communion of that pure Church against these Backsliders. Object. 10. There are no sinful Terms of Communion required of Laicks, or the vulgar Sort of Presbyterian-Dissenters by this present National Church; Therefore they are Schismatics and Separatists. Answ. Giving that there are no sinful Terms of Church-Fellowship required of Laick Dissenters, which cannot be granted, seeing their very simple hearing (much more joining in close Communion) would justly infer their Approbation of the manifold sinful Compliances foresaid, this Church is really chargeable with, and a Counteracting the Lord’s Mind and Will in his Word, and an involving them in their Sin and Guilt, which would be a buying of their joining with this Church, at a much dearer Rate, than was their hearing of the Gospel, when under the Danger, and at the Expense of Blood, in Times of cruel Persecution; yet where God, in his holy Providence, affords Dissenters, purer Administrations and Ordinances from Pastors, which they account more faithfully adhering to the Principles of their Mother-Church, whom they can with greater Freedom join, and find more lively and edifying to their Souls; it cannot be thought either unlawful, or schismatical in Presbyterian Dissenters, either to have Recourse to such dissenting Pastors, for the Enjoyment of Ordinances, being found in their Principles, as well as in their Doctrine, and of an unblamable Conversation, where in Providence they can find them; or yet to refuse Communion with this Revolution-Church; especially considering that they have such clear Grounds to reckon this National Church a backsliding and a schismatical Party, that had once made some considerable Advances in Reformation, but these many Years have been sadly overturning and defacing the same, by deserting the Truths and Principles gradually, she had some Time ago professed, and are bound by the Oath of God to maintain; sometimes declaring in open Assembly, that Breach of Covenant is not to be classed among Causes of Fasting; at other Times proclaiming, that they are not now upon that Footing, to make no Repetition of the Violation done to the whole of the good old covenanted Cause above discovered; which yet is like a choosing Captains to go back again to Egypt. As the Case stands thus, it is no Schism, but a dutiful Zeal, to withdraw from this National Church, notwithstanding of her Numerousness and Learning, and adhere to the more faithful Servants of God, that are endeavoring to stand their Ground, and keep their Garments clean, and transmit an honest Testimony to Posterity, against the former and present Course of Compliance, in favors of a covenanted Work of Reformation, according to what Measure of Light, Strength, Courage and Zeal the Lord is pleased to afford. This might be illustrate from the Example of Moses and Aaron, Caleb and Joshua, and others who adhered to them; these obeyed God, believed his Word, and were determined to march forward toward the Land of Canaan, maugre all Opposition, Difficulties and Discouragments, whether from Friends or Foes, that might occur. Now, tho’ nothing is more evident than this, that they were but an insignificant, and contemptible, small Handful, as to their Number, when compared with these public Resolutioners, viz. the murmuring Israelites, who were for making a Captain to return to Egypt; which tho’ only a Purpose or Resolution, yet it is imputed to them, as if they had done it, Neh. 9:16,17. and they punished of the Lord for the same, Num. 14. Yet it is hoped none will deny, that it was the bound Duty, and Interest too, of every true and honest-hearted Israelite, to forsake the Communion of these Backsliding Murmurers in God’s Camp, and cleave cordially, courageously, and closely to Moses, Aaron, Caleb and Joshua, and such as were more faithful, and of another Spirit: Yea, tho’ the whole Body of that great Assembly had been most firmly unite by the strongest Bonds, or Formula’s Imaginable; and tho’ they had kept together, and actually pursued their Resolution, by going back to Egypt at that Time, and only Moses and Aaron with a small Remnant, in Obedience to the Command of God, had gone forward to the promised Land: Yet it seems undeniably evident, that small Remnant, viz. Moses and Aaron, &c. could not have been accounted the Schismatics in such a Case, but that backsliding Party, viz. the Congregation of Israel, who had thus rebelled against the Lord. This Passage so very apposite, and in some Sense parallel, clearly instructs, That the lack or vulgar Sort of Presbyterian Dissenters in Scotland, England and Ireland, in a firm Adherence to the attained, and once glorious Reformation (their Ministers adhering and maintaining the same) are not chargeable with Schism, in owning and contending for that Cause, in a way of Secession from this Church, who have so soully deserted, and apostatized from the Truths and Principles, which all within these three Kingdoms are, by the Vows of God upon them, bound to maintain and practice, as above hinted. Now, upon the whole of this Objection, as tis plain, Presbyterian Dissenters are not Schismatics, nor deserve to be so called; so ’tis a most groundless and shameless Reflection, to call them Separatists, tho’ ’tis the ordinary Name or Epithet given them, especially in Print; yet to me, and I judge to many others, it is a Wonder with what Audacity, Men of Sobriety and Conscience should have the Confidence to speak at such a Rate, unless they intend, in a desperate Humor, to render their Authority every where, amonst all sober Persons, contemptible: For, if two Persons, walking upon a high Path-Road, on the Brink of a Puddle, the one of them by a Blast of Wind tumbling headlong into the Gulf; when weltering amidst the Glare and miry Clay, cries up to his Neighbour upon the Brink, Sir, unless you tumble over after me, I will look upon you as a Separatist: Which of the two are to be judged most insnared into the Course of Separation, whether the Person keeping the High-way, or the poor Man wallowing in the polluted Mire, crying upon his Neighbour to unite with him in that his miserable Estate? Est solatium miseris habere focios doloris, (‘Tis a Comfort to Persons in Misery to have Companions.) Have not this present Church thrown themselves over into the Ditch of Pollutions, in complying with these dreadful Apostasies of this and the former Times? And, shall these be judged Separatists, who dare not, who cannot, and may not in Conscience follow their Example? Can such as join with, and strengthen them, be able to purge themselves from the Guilt and Judgments, which accompany this shameful Defection? For an Union here (so much cried up) without Debate, is the Brotherhood of Simeon and Levi: It is an Union in a Course of Sin and Wrath, and not in Truth and Duty. I. Beza, on the Song of Solomon, printed 1587, Page 88, says, A Man may well withdraw himself from the Company of such Men (meaning the Scribes and Pharisees, of whom he is there speaking) following the Apostle’s Admonition, I Cor. 5:11. and as the Apostle protesteth himself did, — Psal. 17:4. and warranteth us to do the like, Psal. 1:1. Nay, letteth not, but that a Man may retire himself into purer and clearer Flocks (if there be any such) and where he may be in less Danger of being corrupted by the Contagion and Infection of others, Page 145, he adds, The Means to find the right Way, after that a Man is gone astray, is not to tarry in the Path in which he wandered; but a Man must withdraw himself from it and return into the right (Path) as soon as he can. 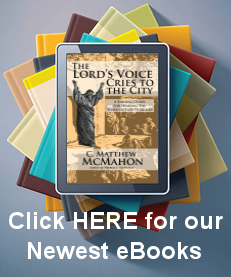 Page 146 Whatever cometh, we must serve God in such Sort as he hath appointed us to serve him, without looking either Backward, or on the Right-hand, or on the Left. In P. 322. he says, — I conclude, that the Multitude, and the greatest and apparent Number, is a most false Mark of the true Church: But, without standing on a few or more, we must keep us unto the infallible Point, That the true Church, and worthy of the Name of Catholic, is that which maketh a true Profession of the Doctrine preached, and entirely registrated by the Apostles, to be the only Rule of Truth unto the whole Company of the Elect. II. Mr. Rutherford, in due Right of Presbytery, Page 255, as cited in Apologetical Relation, Page 293, says — When the greatest Part of a Church maketh Defection from the Truth, the lesser Part remaining sound, the greatest Part is the Church of Separatists: Tho’ the manyest and greatest Part, in the actual Exercise of Discipline, be the Church; yet, in the Case of right Discipline, the best, tho’ fewest, is the Church: For Truth is like Life, that returneth from the manyest Members into the Heart, and there remaineth in its Fountain, in case of Danger. The Apologetical adds, So that it is the Major Part which hath made Defection, that is to be accounted Separatists, and not such as stand to their Principles tho’ they cannot comply, or join with the corrupt Majority. That this is the Case with Presbyterian Dissenters, is so plain, that he who runs may read it. IV. Mr. David Dickson, in his Therapeutica Sacra, Page 578, says, — We put some Difference betwixt Errors in Doctrine, and Errors in Practice; albeit there cannot be one Error in Practice, whether it be in the external Worship or Government of the Church, or in outward Conversation, which being stiffly maintained, hath not some Error in Judgment and Doctrine joined with it That this Church does stiffly maintain her Erastian Constitution, and whole Course of Compliance, is plain. Hence Error in judgment and Doctrine must be joined with that course, &c. In page 579, he says—That Colouring and Covering over Errors, (as in the Case of Professor Simson first and last) with fair Pretences, is but deceitful Sophistry, — from Page 583 to 590, in his 3d Mark of Delusions He adds,— The 3d Sign of Delusion is, the causing Divisions and Offences in the visible Church needlesly (and I know no Need there was for causing Divisions and Offences, by settling upon a Foundation, and continuing in such a Course as recogniseth all the Corruptions, Defections and Evils from the Year 1650, to this present Time) In which the Apostle doth exhort the Romans, however they should pity the misled Multitude, yet carefully to mark the Causers of the Division, Rom 16:17. V. Mr Durham, in his Treatise on Scandal, Page 31, printed 1682, says, — What is to be done, when there seems to be an Opposition betwixt the Command of a superior, and the eshewing of Offence; so that we must either disobey him, or give Offence in obeying: As, suppose a Magistrate should command to preach upon some pretended holy Day (Have not most of the Fasts and Thanksgivings been indited by Erastian Powers since the Revolution, upon some pretended Holy Days?) the Thing is lawful upon the Matter, but the Doing of it is offensive, either by grieving many, or strengthening others, (viz. the Bishops and their Underlings, &c.) in the esteeming somewhat of that Day. Answer, In that Case the Scandal is still active and given, and therefore no Command or Authority can warrant one, (much less a whole Church) in such a Deed: For, as these two worthy Divines (Ames in Cases of Conscience, Lib Cap.II. and Gillespie, in his Dispute of Ceremonies, Cap.7, Sect.5. ) observe, No Man can command either our Charity or our Conscience, or make up the Hazard of giving Offence, and therefore none can command us warrantably to hurt the spiritual Good of our Neighbour, that being contrary to the Command of Love that God has laid on. VI. Mr. Robert McWard, in his Earnest Contendings against Mr. Fleming, Page 258,259, says, Sir, why do you decline, in speaking of Division in a Church, to make Use of the Phrase of the Holy Ghost in the Case, Rom. 16:17. Now, I beseech you Brethren, saith he, mark them which cause Divisions and Offences, contrary to the Doctrine which you have learned, and avoid them. And I may say, I beseech you, Sir, Mark what here is said, for I am content these blessed Words decide betwixt you and me: For, as they characterize the Persons dividing far otherwise than you do, who, do it not at all, by these Words, which cause Divisions and Offences, &c. so the Command to avoid them, who are thus characterized, hath all in it I plead in the case, and is a sufficient Warrant for my Practice (and also for the Practice of Dissenters.) And hence I might, and do thus argue from the Words of the Holy Ghost, Such as cause Divisions and Offences, contrary to the Doctrine which we have learned, are to be marked and avoided (in so far as they cause Divisions;) but the Indulged, for whom you plead, are such: Ergo. The Proposition is the Words of the Holy Ghost. The Minor hath been made evident, by what hath been said before, wherein it hath been evinced, how the Indulged have caused Divisions and Offences, contrary to the known and acknowledged Doctrine of the Church of Scotland; Therefore they are to be avoided by all who desire to be found faithful to the Principles of our Church: And so, Sir, you see I am led by the Word to the outmost Length of that Opposition which I design: And I am warranted (consequently Presbyterian Dissenters) to stand aloof from all Compliance with what you drive; which I further make out thus, Whosoever pleads for not avoiding them, but for an Union with them, who have caused Divisions and Offences, contrary to the Doctrine which we have learned, contradicts the very Letter of the Scripture, and the Scope of the Holy Ghost, and therefore are not to be complied with, nor listened unto: But such is your pleading for Men who have caused Divisions and Offences; Ergo. The Major you will not deny, and the Minor is already proved, and is evident in Matter of Fact, yea, and is that which principally must give Life and Strength to all that ever you yourself said against the Indulgence: And so I have all that I would, and am content that this, Text decide the Debate betwixt you and me. Moreover, Sir, feeling there is a Division, either you must say, That the Indulged, for whom you plead, have not caused these Divisions and Offences, contrary to the Doctrine which we have learned and so are not to be avoided; or, that we, who oppose them, have caused these Divisions and Offences, in opposing Men who, in all their Actings, have adhered to the Doctrine of the Church of Scotland, and that we, for our Opposition to Men valiant for the Truth, truly loyal for Jesus Christ, and zealous for the Doctrine of the Church of Scotland, are to be marked and avoided. Sir, I leave you here to make an Election; and am hopeful you shall find yourself mired, which Part soever you choose. VII. Mr. Walter Marshal Gospel Mystery of Sanctification printed 1692 from Page 310 to 314. says—Follow no Church any further, than you may follow it in the way of Christ, and keep Fellowship with it, only upon the Account of Christ, because it follows Christ (surely such as betray and bury the Cause and Truth of Christ, cannot be said to follow and keep the Way of Christ) and has Fellowship with Christ, I John 1:3, Zech 8:23. If a Church revolt from Christ, (as this present Church has done, in deserting the covenanted Reformation) we must not follow it, how ancient so ever it be, as the Israelitish Church was not to be followed, when it persecuted Christ and his Apostles (which so far confirms what is above said upon their Point) and many by adhering to that Church fell from Christ, Phil 3:6, Acts 6:13,14. and 21:28. We are indeed to hear the Church, but not every one that calls itself so, nor none any further than it speaks as a true Church, according to the Voice of the Shepherd, John 10:27. We must subject ourselves to Ministers of Christ, and Stewards of his Mysteries. I Cor 4:1. But must give up ourselves to Christ first absolutely, and to the Church according to the Will of Christ, 2 Cor 8:5. Our Fear (which is very much in Fashion with this Church) must not be taught by the Precepts of Men, Matth 15:9. The Doctrines of any Men are to be tried by Scripture, whatever Authority they pretend to, Acts 17:11. An unlimited Following Church-Guides, brought the Church into Babylon, and into all Manner of spiritual Whoredoms and Abominations; you are not baptized into the Name of the Church, but into the Name of Christ, I Cor 1:13—Keep Communion with a Church for the Sake of Communion with Christ, I John 1:3, Zech 8:23. Therefore you must keep Communion in Christ’s pure Ways only, and in them seek Christ by Faith, &c. — Chose therefore Fellowship with the most spiritual Churches, Judge of Churches and Men, according to the Rule of the New Creature, 2 Cor. 5:16,17. and try them, Rev. 2:2 and 3:9. otherwise a Church may corrupt you — I only add — that Church-Fellowship, without practicing the Ways of Christ (which this Church cannot be said to do, even many of themselves, and Assembly-Acts being Judges) is but a Conspiracy to take his Name in vain, and a counterfeit Church-fellowship of Hypocrites: It is Impudence to invite others to their Communion, and Tyranny to compel them. Every Christian is bound to seek a better Church-fellowship by Reformation; and those that do so, are the best Sons of Christ’s Church, who inquire, is this the Way to enjoy Christ? A Church-way being appointed to enjoy Christ therein; especially leave not the Church in Persecution (as the Indulged and Tolerated, &c. did in the late Times) when you need its Help most, and are then most tried whether you will cleave to it, this is a Sign of Apostasy, Heb. 10:25,26. Matth. 24:9,10, —13. We should cleave to one another as one Flesh, even to Prisons and Death, or else we deny Christ and his Members, Matth.25:43. VIII. Mr. Thomas Watson’s Christian’s Charter, Page 146, having cited Psal. 37:34, adds — While we are waiting, let us take head of wavering; go not a step out of God’s Way tho’ a Lion be in the Way; avoid not Duty, to meet with Safety; keep God’s high way, the good old Way, Jer.6:16. the Way which is paved with Holiness, Isa 35:8. And an high Way shall be there, and it shall be called the Way of Holiness. Avoid crooked Paths, Psal 125:5. Take heed of turning to the left Hand, lest you be set on the left Hand. Sin doth cross our Hopes, it barrocades up our way; a Man may as well expect Heaven in Hell, as in a sinful Way. In Page 455 he adds — (1) The upright Christian dare not palliate or justify the Sins of Men this were (N.B.) with holy Water to wash the Devil’s Face (what of this is practiced, now let the palliating of Nasmith, Robison and Simpson’s Errors and Tenets bear Witness.) (2.) An upright Man dare not keep back any Part of God’s Truth, Acts 20:27. (now ’tis judged Prudence to keep silent) (3.) An upright Man will not neglect a known Duty for losing a Party. Some upon this very Ground (saith he) have forborn to declare against Error, for Fear of a Party falling off from them; if Men will fall off from us for doing our Duty, my Opinion is they are better lost than kept. IX. Mr John Cotton, in Exposition on John I Espistle, printed 1658, Page 385. says — Sometime we must be content to part with the very Ordinances themselves; if we cannot enjoy the Ordinances of God in Purity without Sin, (which is the very case with Presbyterian Dissenters in my Opinion) let us part with them all: So, when the Priests could not enjoy the Liberty of their Places in Jeroboam’s Days, except they would offer Sacrifice in their Course to the Golden Calves, which were the Image of the Cherubims, they left all and came up to Jerusalem, 2 Chron. 11:14. where they might enjoy God’s Ordinances in Purity; and, as the Priests did, so did the People, v.16, and Christ wisheth them, Cant. 1. 7,8 which is spoken of Jeroboam’s Days. And so in Case we cannot have the Liberty of the Ordinances, without some Impurity, which may defile the Conscience, in this Case, part with all; for we come not to the Ordinances for the Ordinances Sake, but for Christ’s Sake; therefore, if we cannot have them without Sin, in this Case part with them. X. Mr. John Owen, in his Inquiry into the Nature and Communion of Evangelick Churches, printed 1681, Page 180, says — Where is any Church that have taught, or allowed a Mixture of Doctrines or Opinions, that are prejudicial to Gospel-holiness or Obedience? No Man that takes due Care of his Salvation, can join himself to it, when the Fundamentals of religious Worship are corrupted or overthrown, it is absolutely unlawful to join unto, or abide in any Church. Page 187, — If any Church shall publicly avow to maintain or approve of Doctrines, contrary to these which were the Foundation of its first Communion, the Members of it are at Liberty to refrain the Communion of it, and to provide otherwise for their own Edification. Page 226, — A Schism that consists in giving a Testimony unto the Institutions of Christ, and standing fast in the Liberty wherewith he hath made Disciples free, is that, whose Guilt no Man need no fear. Page 284, — Therefore, tho’ a Church, or that which pretends itself on any Grounds so to be, do not profess an heinous Error in Doctrine, nor be guilty of idolatrous Practice in Worship, destroying its Nature and Being; yet there may be sufficient Reasons to refrain from its Communion in Church-order and Worship, and to join in or with other Churches for Edification; that is, that where such a Church is not capable of Reformation, or is obstinate in Resolution, not to reform itself under the utmost Necessity thereof, it is lawful for all or any of its Members, to reform themselves according to the Mind of Christ, and Commands of the Gospel. Page 288, — And their Want may be a just Cause of refraining Communion, from a Church which yet we are not obliged to condemn as none at all. Page 209, — Altho’ a Church, or that which pretends itself on any Ground so to be, doth not profess Error in Doctrine, or be guilty of Idolatrous Practices in Worship; Yet, if that Church do not, it will not, or cannot reform itself; it is a sufficient Ground of Separation from such a Church — Page 197, That a Different from the corrupt Rules and human Institutions of a Church-Communion, is as far from Schism, as Man can need desire. XI. Mr. Jeremiah Burroughs, in his Irenicum, printed 1646, Page 173, says, If one’s Departure proceed from his Love of God, his Love to his Saints, and his own Soul, yea, his Love to that very Church from whence he departs, as sometimes it may, witnessing in a gracious Way against the Evil in it; he is far from the Guilt of Schism. And add, — If the Cause of leaving Communion be just, then these who gave this Cause are the Schismatics, not these who withdraw upon it: Thus the Governors of the Church may be the Schismatics, and a private Member withdrawing may be free. Swarez, a great Jesuite, in his Disputation De Schismate, says, In some Cases the Pope may be a Schismatic. The Blame of Schism (says the learned Voetius) must not be upon those who forsake such as have forsaken Christ and the ancient Faith, but upon those who have thus forsaken Christ and his Truths: Yea further, if they impose that which is not necessary (tho’ in itself not sinful) and will not bear with the Weaknesses of such as think it to be evil; if upon that they be forced to withdraw, in this the Governors are the Schismatics also, because the Rent is in them. Page 125, — Where a Man cannot have his Soul edified in some Ordinances and Truths of great Moment, which that Church whereof he now is shall deny, and is in great Danger of being seduced to Evil; he may depart from that Church to another, if he does it orderly, and not be guilty at all of Schism: Love to God and his own Soul is the Cause of this; not Want of Love to his Brethren (So, non deceissio sed causa facit schismaticum.) Page 166,— We use to say, we may buy God too dear, and so we may Peace; but whatsoever we pay for it, besides Sin and Baseness, we have a good Bargain: We may give Peace to buy Truth; but we may not give Truth to buy Peace; We may be bold with that which is our own to purchase Peace, but not with that which is God’s. Also, on Hosea 2:2. he observes, When Exhortations and Admonitions will not do, we must strengthen ourselves, and fall a Pleading; and if there be any Way more powerful than Exhortations and Amonitions, we should take that Way, &c. On Chap 5:7. he says, Take heed of this Evil of dealing treacherously with God, not only in regard of the particular Covenant between God and our own Souls; but in a more special Manner, let us take heed of breaking our public Covenants. England hath been guilty of great Sins against God, but England was never so engaged unto God, as it hath been of late: We never entered into such solemn Covenants with God, as we have done of late; therefore, if we keep not our Covenants with God now, England’s Sins will prove to be greater than they were before, they will prove to be treacherous Sins. Do not account your entering into Covenant with God at any Time, to be a slight Matter, do not dally, do not trigle with him: When you come to the Sacrament, there you renew your Covenants; perhaps in your Closets, in the Day of your Affliction, you renew your Covenants but especially, when you come in a solemn Way to join with the People of God, to bind yourselves in a Covenant with God, to amend your Lives, and to enquire after the true Worship of God, and to conform yourselves according to his Word. Oh! now take heed what you do; now to walk as formerly you have done, Oh! this is Treachery against the God of Heaven. Certainly God expects much from us, after such a Covenant, as we have lately entered into; the most solemn Covenant, one of them, that ever was taken, for People to come and lift up their Hands to the most High God, as they have done; and a National Covenant, and therefore more to be regarded than a private; yea, an uniting Covenant, that uniteth two Nations, if not three, together; and a Covenant, that is more for the Kindom of Christ, and more directly against the Kingdom of Antichrist, against the Antichristian Party, than ever yet was taken since the World began. Antichrist quickly did arise, and there hath been much Opposition of him; but for two Nations so solemnly to lift up their Hands to the most High God, to oppose all Antichristian Government, it is that which, if it be kept as carefully as it was made solemnly, is the greatest Honor that ever yet Christ had in regard of his Government here upon earth; and we had Need to look to it, because it is such a mighty Work as should take our Hearts, that ever we should live to see, that God should bring about such a strange Thing in our Generation. I appeal unto you, Was it possible, four Years hence, for any Man in the World, yea, for an Angel, to conjecture such a Thing as this, that Two Nations shall join together, the Representative Body of the Kingdom, and Assembly of Divines, in one Day, should be ligting up their Hands to the most High God, to do what lies in them to extirpate Prelacy, that is, Government by Archbishops, Bishops, Archdeacons, Deans, &c. Now, the more miraculous the Work of God is, in bringing this strange Thing about, the more BONDS ly upon us to keep that COVENANT with God. Oh! therefore, let us not now add Treachery unto all our former Apostasy; our Sins now wil! prove Sins of Treachery. 12. Mr. James Fraser, in his Sermon, intituled, Prelacy an Idol, printed 1713, p. 15 upon the forecited Text in Hosea, says, Question, By what Means should we plead? Answ. Both publickly and privately, to demonstrate to her (viz. the Church) her sinful Courses, Ezek. 20. and 2. Shew the House of Israel her Transgressions, &c. by a contrary Practice, and Withdrawing from all that follow the Course of Defection. This is a Pleading, — plead plainly and freely, so as they may know what you would be at; plead practically; plead in Deed as well as in Word; let your Conversation, keeping at a Distance with all that is corrupted, be a living Testimony against the Time’s Corruptions. 13. It will appear further who are Schismaticks, from Mr. Forester in his Rectius instruendum, Confut. 3. Dialogue, p. 7. who says, — Every Separation is not sinful, even from a Church which hath the Essentials, yea, and more than the Essentials. (1.) If it be from these, tho’ never so many, who are drawing back; and in so far as drawing back from whatever Piece of Duty and Integrity is attained. (2.) If we separate in that which a National Church hath commanded us as her Members to disown, by her standing Acts and Authority, while these from whom we separate own that Corruption, (3.) If the supposed Separation be an Officiating, as they can have Access, after a National Church’s Reformation is overturned, and the persecute; in this Case the Persecuters separate from them, and chase them away; there is a commanded Withdrawing from Persons and Societies, Rom. 16:17. 2 Cor. 6:17. Prov. 19:27. Acts 2:40. 14. Mr. Thomas Case, Mount Pisgah, says, There is a living above Ordinances, which hath a good Sense in it; (1.) When God hath taken away Ordinances, or permitted Men to take them away, then to live above them, i.e. to be able to live immediately upon God, as knowing, that though God hath tied us to Means, yet he hath not tied himself to Means: He that converts and saveth by Ordinances, can do his Work without them; the Means can do nothing without God, but God can do what he will, without the Means: So to live by Faith is exceeding precious. Upon the Whole, some general Observation seems necessary. And as the great Dr. Owen observes, That the Withdrawing from Ordinances is just, when Offences are so grievous and notour; as also all Access towards Removing them in a regular Way, rendred impossible (the very Case with Presbyterian Dissenters, in my Judgment) in such a Manner, that the great End of Edification cannot be reached: So in Point of Reformation of either Manners or Doctrine, it seems lawful and dutiful Zeal for a Christian People, since our Lord’s Incarnation, to do, as a People professing the true God before did, and might do. The Church before Christ consisted of Jews and Proselytes; this Church came to have a Separation upon a most ungodly Policy of Jeroboam, I Kings 12:27. mentioned, 2 Chron. 11:14. so that that Church was never pieced together again; they declined yea, would not come to a common Council for reforming all; Sure then it was lawful for Judah to reform herself, when Israel would not join, after the most fervent Importunities, 2 Chron. 12:11,12. Remonstrances, Warnings, and Representations of Grievances being rejected; as may be gathered from the 5,6,7. compared with the 13 and 14 Verses of that Chapter. That it was lawful for Judah so to do, seems evident from Hosea 4. and 14. Tho’ Israel transgress, yet let not Judah offend or sin. Neither can it be said, that Israel from the Time of the Separation was no Church, seeing there were true Prophets there, such as Elijah, I Kings 17:1. and Elisha, 2 Kings 3:13. and Thousands, who had no Communion with Baal’s Worship, nor gave any Umbrage of Countenance to that Devilish Hierarchy, which was favoured with the legal Establishment of that Time; but maintained a Testimony, in a Way of Secession, against Baal and his Worshippers; some of them more publicly and zealously, as Elijah, I Kings Chap. 18:40. and others more privately, in a Way agreeable to their Stations, as the Lord enabled; and all laying out themselves for Reformation, according to the Lord’s Command. Hence consequentially, a lesser Part of a Church, as Judah was, may with great Safety, and the Lord’s Approbation, withdraw from the Communion of a greater Part (as Israel was) proceeding, and encouraging themselves in a Way that has Desertion and Revolting from the Lord written upon it, and draws on gradually desolating Punishments or final Rejection 2Chron. 13:17. compared with Hos. 9:17. That the said lesser Part is not only called in this Case to stand their Ground, bear Testimony, in a dutiful and scriptural Way, to the Royalties of Christ, and against every Incroachment made upon the same, whether by direct Violations, Rejections or slighting Truths, which require a Confession answerable to the Injury done thereunto, come from whatever Airth it will, or by whomsoever it will, whether Church-men or States-men; but is in like Manner bound from the same example to reform and propagate Reformation in a laudable becoming Way, even tho’ the greatest of Severities and Hardships should ensue thereupon. By which Allusion to Israel and Judah, I make no particular Application to any Church. But to conclude, O how honourable, profitable, comfortable and withal easy a Work might it be for the Ministers of this present National Church, in the Strength of Christ, to consider seriously and humbly from whence they are fallen, from whom, and from what they have revolted, repent, do their first Works, return to their first Husband, and first Love, in order to prevent the full Accomplishment of that tremenduous Threatening denounced against, and actually inflicted upon the Church of Ephesus, Rev. 2:5. for Evils of too near Affinity to what on Search will be found on the Skirts of this Church; and thereby be put in some suitable Condition, through Grace, to remove these stumbling Blocks out of the Way, relieve poor burdened Dissenters of these heavy Pressures and Loads, yea dead Weights, that from Time to Time sink and sadden their Souls; namely, the abounding Corruptions and Abominations in this Church, which are as so many Bolts and Bars upon Church-Doors, that they cannot find Access or Entrance, until they be removed, (which yet by many are nothing thought of, and by others gloried in, as prime Virtues; and, tho’ a third Sort confess them to be truly weighty, yet do nothing effectually for their Delivery and Help) by redressing their Grievances, both numerous and momentuous; and thereby be Instrumental of preventing and turning away the Anger of the Lord, that seems to be burning like a Flame round about, tho’ by few of whatever Persuasion, I fear, rightly laid to Heart; and instrumental thereby of healing the Divisions of Reuben, restoring Evangelical Peace, Love, Unity, Joy and Prosperity, among all the true Fearers of the Lord in this Kingdom; and this the rather, because all this may be done without Loss of their Ministry, without Diminution of their Dignity, without Deprivation of their true Peace and Comfort, without the Neglect of any Duty, without doing any Thing contraire the Light of their Consciences, if rightly informed, without thwarting with any divine Obligation; and thereon to set themselves seriously to Endeavour the Remedy of these and other Evils of the like Nature, under the present Sense of that great Account, which they must shortly give before the Judgment-Seat of Jesus Christ! pg 221. Being pages 177-221 from Plain Reasons for Presbyterians Dissenting from the Revolution Church of Scotland. Also, Their Principles Concerning Civil Government, and the Difference Betwixt the Reformation and Revolution Principles (1731).